We have a family reunion in KC soon (one of my favorite cities). I can’t wait. It has been a tradition that each family bring a little something to share. In the past, the family has shared specially printed family reunion T-shirts, handmade jewelry, handcrafted gifts and food items and even seeds and plants. I had originally wanted to make homemade strawberry jam, but alas, strawberry season came and went without time to make anything. My next thought was to make a wine jelly. I had never tried this before, but I thought it would be fairly easy. I started a web search. I ran across a “Lavender Wine Jelly Recipe” from Family, Food, and Other Things. I decided to give it a try. 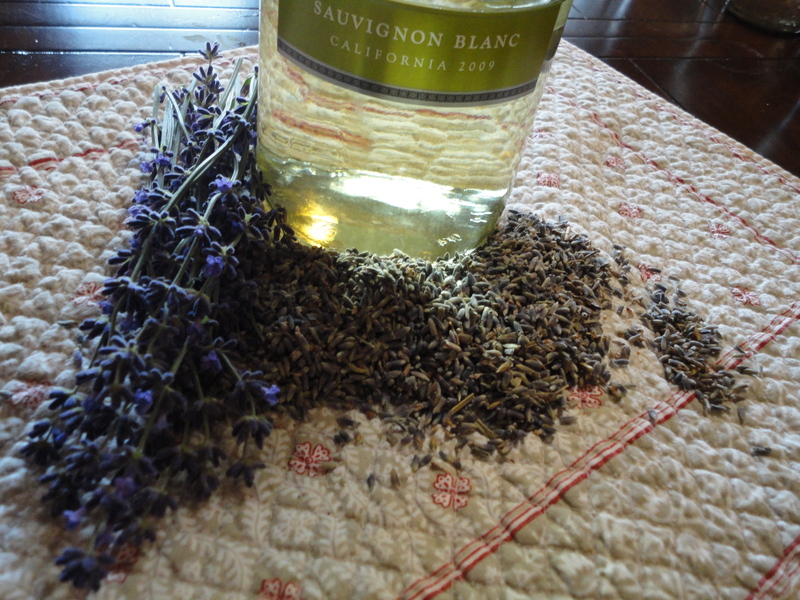 Combine wine and lavender in a small saucepan and bring to boil. Remove from heat and cover. Let steep 20 minutes. Strain lavender buds and place wine in a large saucepan. Stir in sugar. Over high heat, stirring constantly, bring mixture to a full boil that cannot be stirred down. Stir in the pectin and bring back to a rolling boil. Stirring constantly, boil for 1 minute. Remove from heat and skim off foam (if necessary). Pour into sterilized jelly jars, place cap on each clean rim, screw on ring and place in a water bath for 10 minutes. 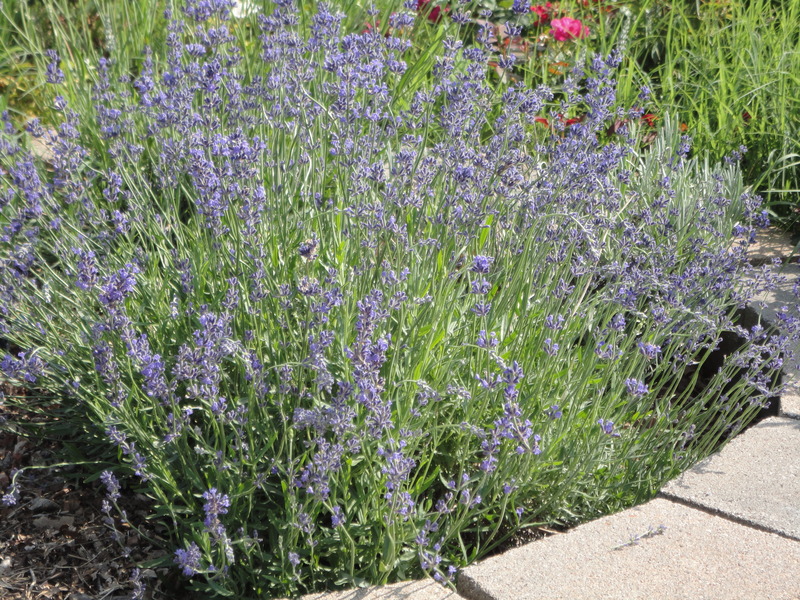 I love lavender—love to grow it, pick it, smell it. I have a bottle of lavender linen water that I spritz my pillow with after a stressful day. 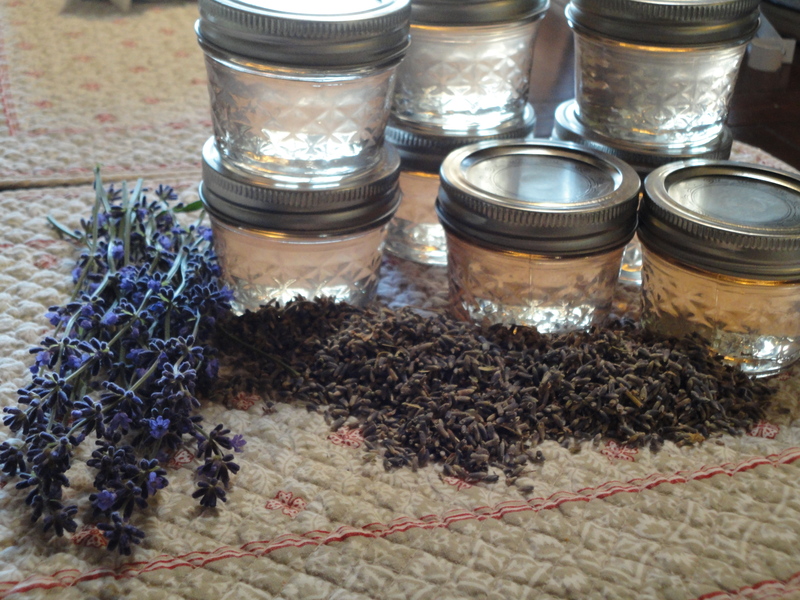 Besides this jelly, I have also made lavender sugar, lavender herbed salt, and lavender sugar cookies. All of these things make great gifts, too. Check them out. I also made one batch of Garlic Rosemary Jelly to take. Much thanks to Family, Food, and Other Things for the inspiration. Glad I could inspire you ;o). 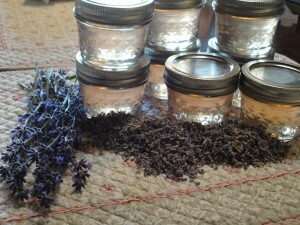 I still have some dried lavender left and should make this jelly again soon ;o).